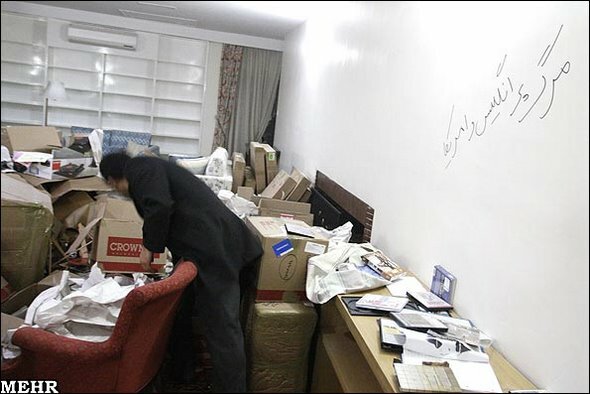 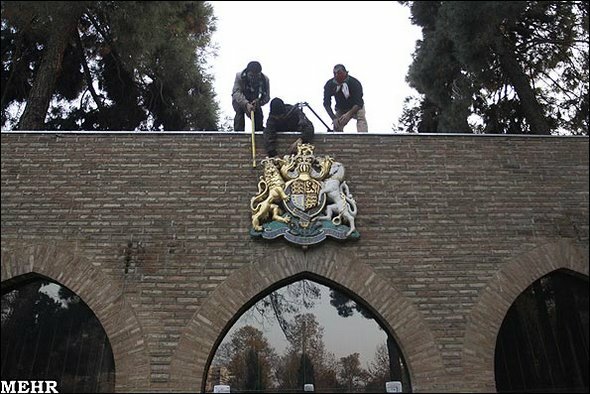 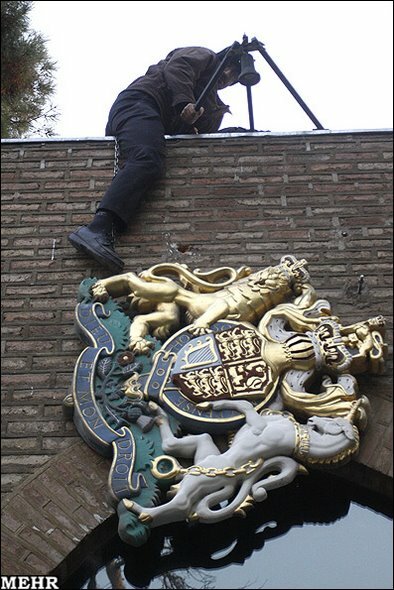 Tehran Governor said British embassy has not been occupied and is continuing its routine activities. 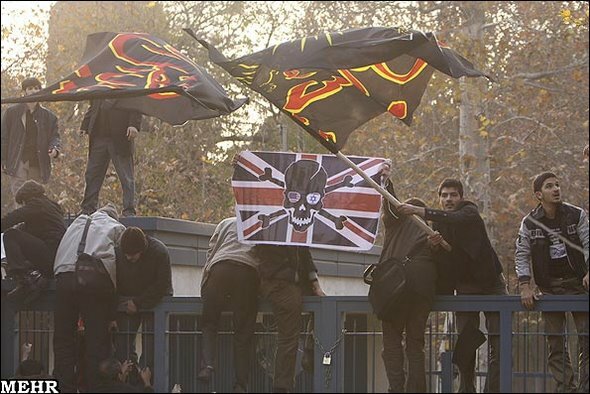 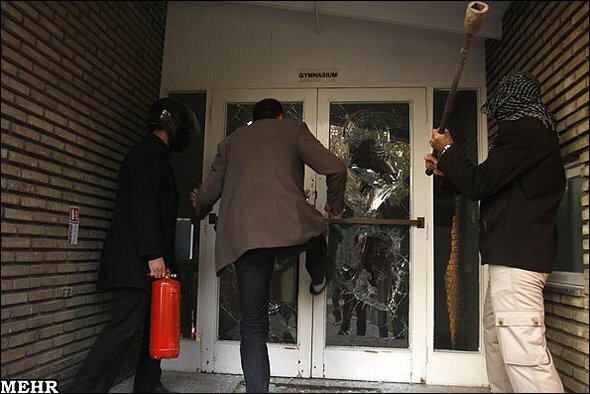 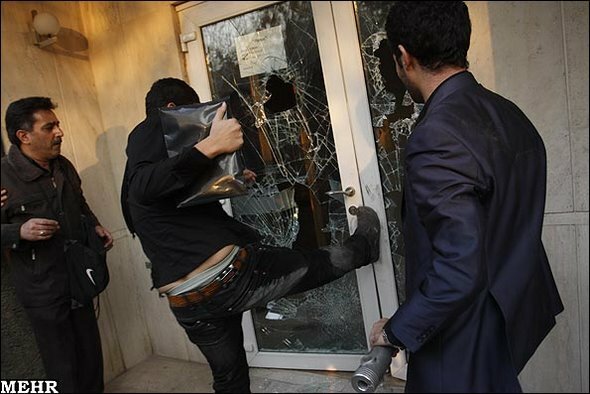 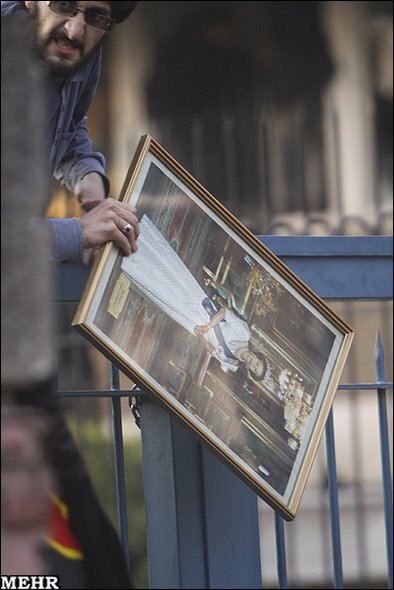 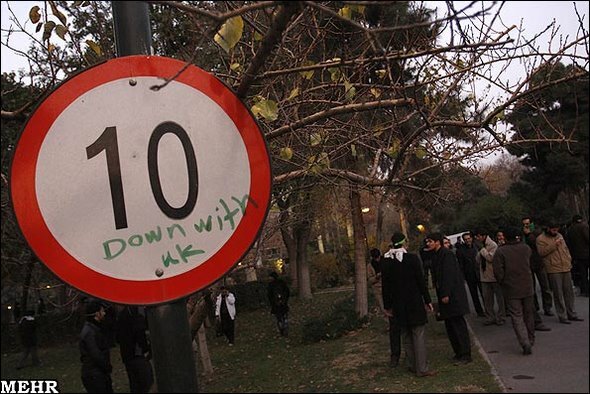 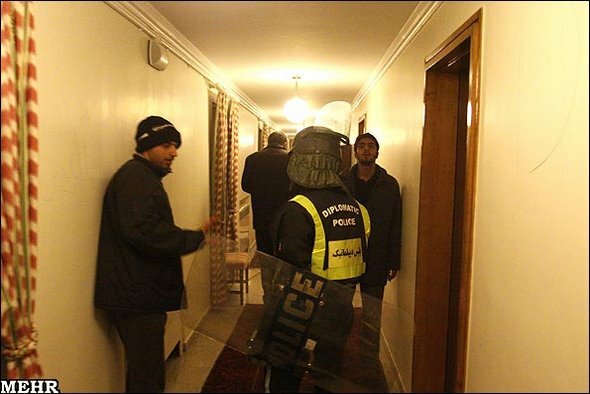 His remarks, published by ISNA, came after Iranian students held a rally in front of British embassy in Tehran Tuesday and some reports were released that the diplomatic complex was seized by the students. 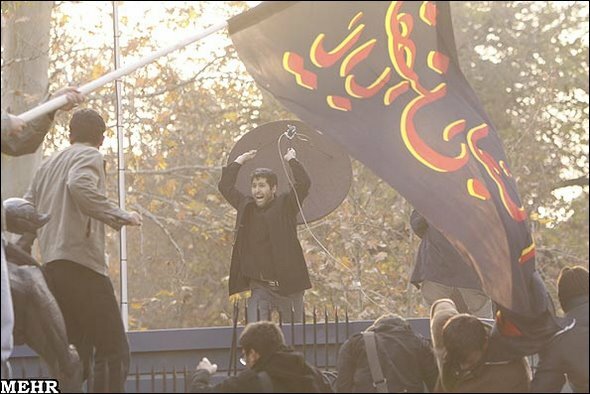 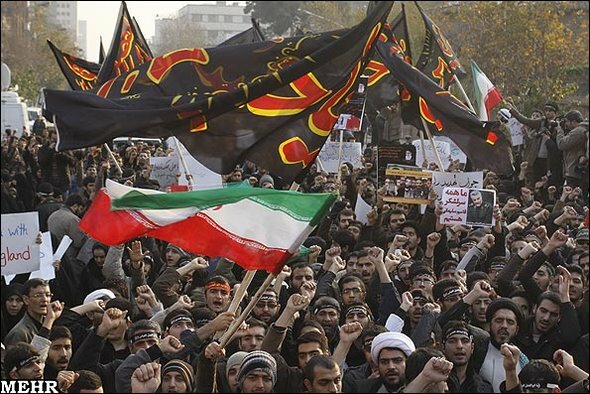 "Some students held a legal rally in front of the UK embassy and showed objection to London interventionist actions in Iranian interior affairs," he added saying that some provocative news released by foreign media claimed that the British embassy was seized. 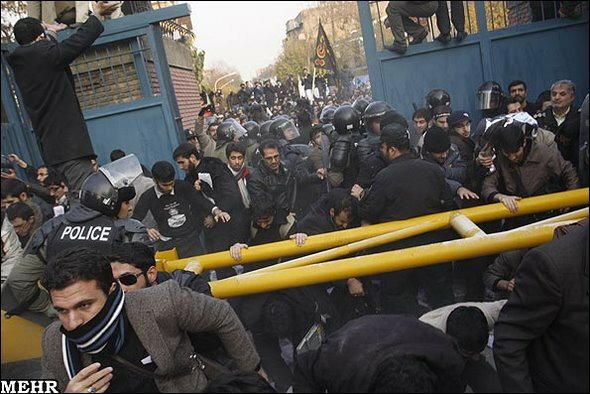 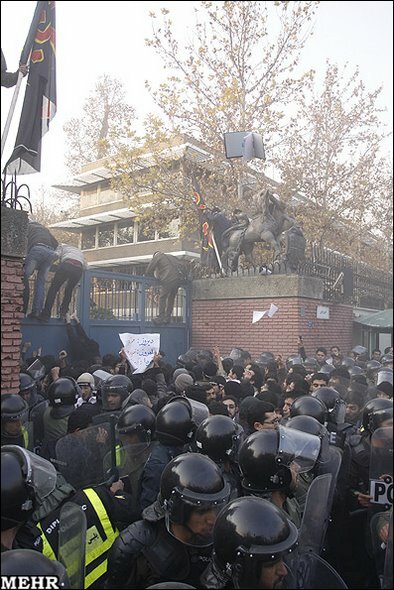 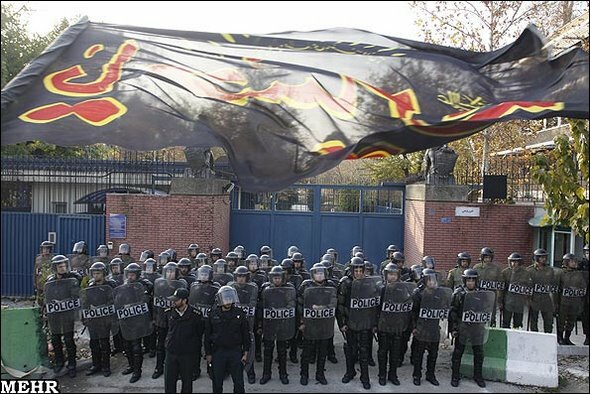 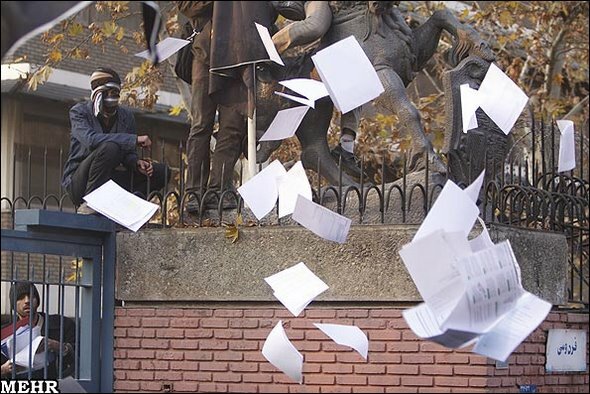 Also Tehran Deputy Governor for Security and Disciplinary Affairs Safarali Baratlou, said, "The issue has been resolved and the protesting students were scattered from the embassy and that there is no problem now." 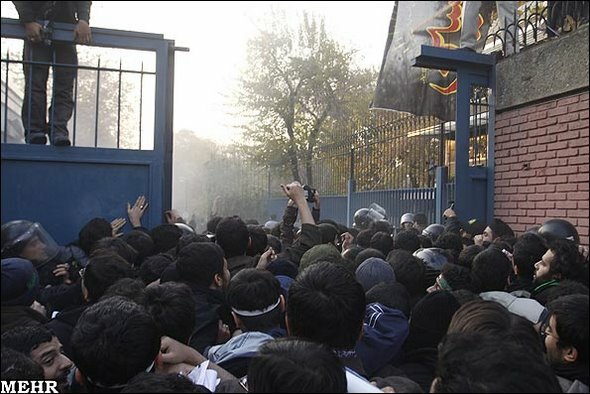 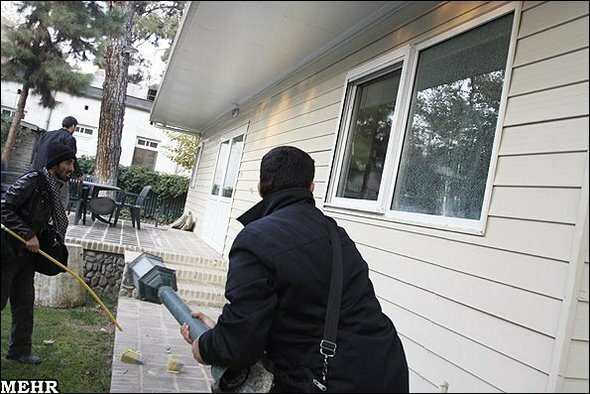 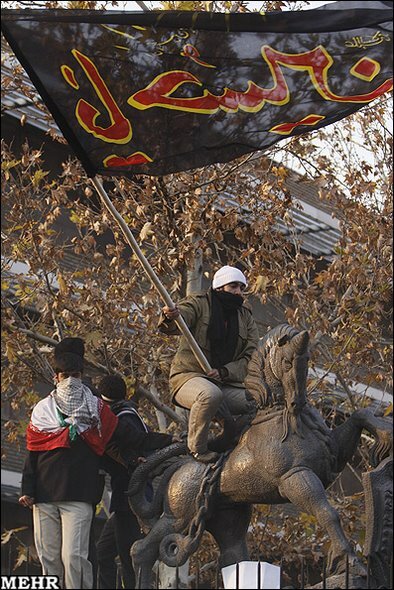 However, the photos published by Iranian news agency Mehr News Agency tell a different story. 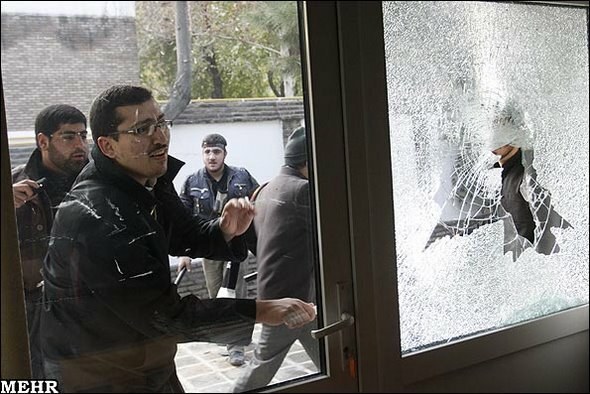 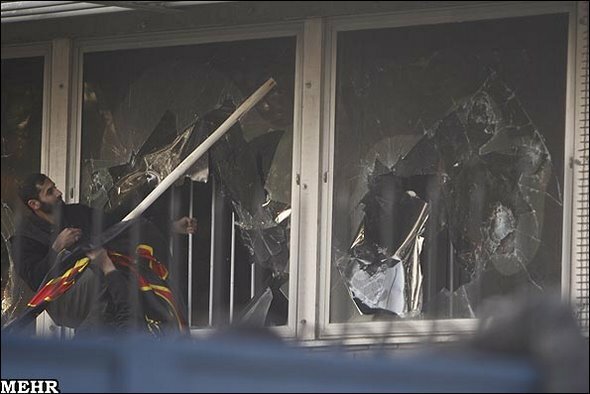 The UK embassy compound was clearly violated by the attackers, claimed to be students, even though the security forces were present at the scene!